Glycyrrhizin, which is what gives licorice its sweet flavor, can cause the heart to beat dangerously fast. While indulging our sweet-tooth may be a time-honored Halloween tradition, there’s one tasty morsel that could turn out to be more of a trick than a treat for some of us, the Food and Drug Administration warns. 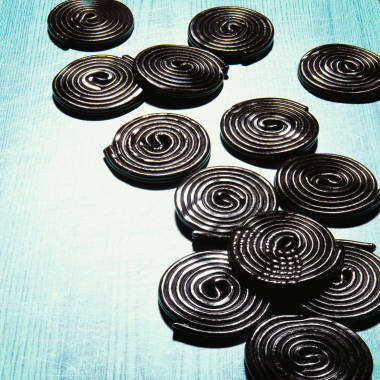 Black licorice can lead to heart arrhythmias and other health problems when consumed by adults in large quantities, the FDA noted in its pre-holiday alert. Experts say that consuming 2 ounces of black licorice per day for two weeks can set the heart stuttering in susceptible individuals. The culprit is a compound called glycyrrhizin, which is what gives licorice its sweet flavor. Glycyrrhizin causes the kidneys to excrete potassium. And low levels of potassium can make the heart beat dangerously fast or out of sync, says Dr. Gregg Fonarow, a professor of cardiovascular medicine at the University of California, Los Angeles, School of Medicine. The compound also leads to salt and water retention which can be a problem for people with heart failure or high blood pressure, Fonarow said. It’s long been known in some cultures that licorice was more than just a sweet indulgence. In certain parts of the world, the chewy stuff is prescribed to treat everything from heartburn to bronchitis to viral infections. So far, though, there hasn’t been a study proving that licorice can cure anything, the FDA alert noted. Because licorice is a bioactive food, which means it can tweak metabolic processes in the body, you also have to worry about interactions with medications, Fonarow said. Some studies have suggested that licorice can drive up blood pressure in women taking oral contraceptives because of the potassium effect. The FDA suggests that everyone, young and old, be careful about how much black licorice they consume at one time. And if you’re one of the unlucky ones who develops an irregular heart rhythm or muscle weakness after eating a lot of licorice, the agency suggests you “stop eating it immediately and contact your healthcare provider.